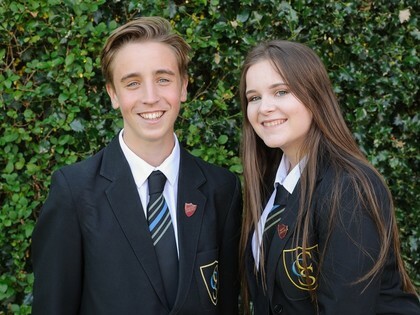 Every year at Cove, teachers ask students if they would like to join the leadership team, which is made up of Head Boy and Head Girl, Deputy Head Boy and Girl, Assistant Head Boys and Girls, Senior Prefects and House Prefects. After speaking in front of our year group and being interviewed, we are proud to say that we were appointed. Our time at Cove has given us numerous opportunities from performing at the Haymarket Theatre to going on STEM science trips. 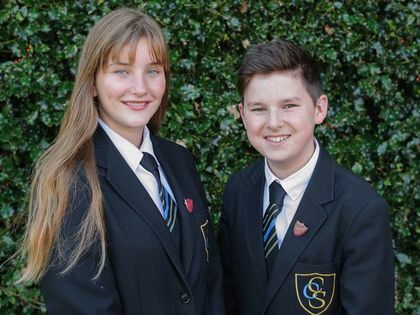 We are lucky enough to have a vast range of extra-curricular activities to take part in, from sports groups, games clubs, performing arts, science and music – there is something for everyone. These extra-curricular activities help to build communication and confidence skills, as well as teamwork and leadership. Cove School has a great team of staff and student leaders who are always helpful and approachable. If you ever have any problems, or need someone to speak to they are always available to listen. Any feedback we are given is helpful as we are your connection to the head teacher and senior leadership team. School life at Cove is an amazing opportunity to explore and make new friends – some which you will hopefully keep for life.